The 14 week long strike at Robertson Winery (RW) in Western Cape is over, but the struggle surely isn’t. 220 workers went out on strike at the end of August for a minimum wage of R8500 per month and a range of other demands, some directed against racist practices at the packaging and bottling factory. On Monday 28 November, they went back to work. It did not take many hours before the turmoil at the company started again. The 14 week long strike at Robertson Winery in Western Cape is over, but the struggle surely isn´t. As we write this, it appears as if the management is about to break last week’s agreement on “full bonus pay”, corresponding to about one monthly salary. In addition, three temporary workers who participated in the strike from the beginning will not be permanently hired, as promised. As Amandla! is about to go to press, the leadership of CSAAWU and shop stewards are discussing their options. The appeal for a boycott of Robertson wines cannot be withdrawn at this stage. 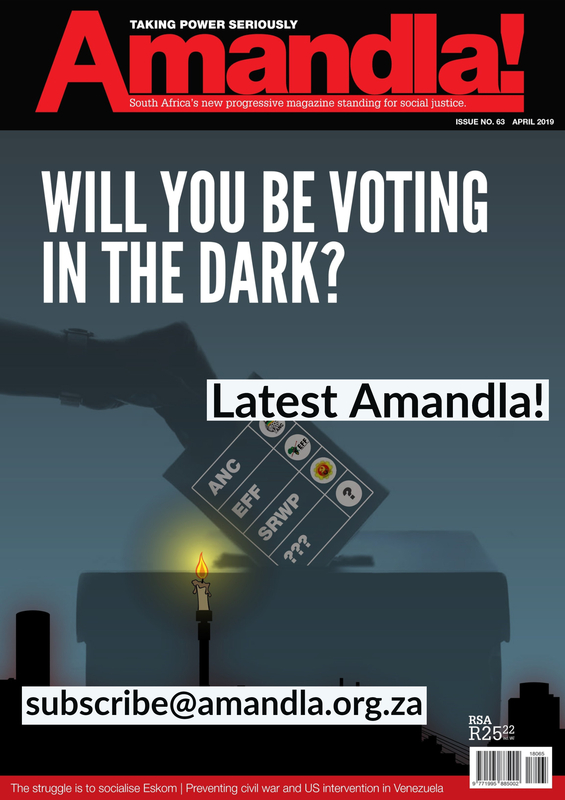 Readers must follow CSAAWU ’s and Amandla Media’s Facebook pages for news releases. 1. Wages only comprised 3.5% of the production costs. 2. Sales had expanded by a staggering 75% over three years. 3. Production costs had grown by the same 75%. This could only mean that the profits of the winery had been shifted for tax reasons to other companies in the production and distribution chain, controlled by the same people. All of these companies are ultimately owned by the same Rands Family Trust. Six weeks into the strike, the company allowed a chartered account to “look at but not copy” the books of RW. RW again refused to show the financials of the other two companies that RW trades as and shares directors with: the cooperative that delivers about half of all the bulk wine and the company that is RW’s only customer, “Robertson Wide River”. Their profit rates had to be concealed. After 14 weeks of strike, an international boycott campaign and the latest conflict right now triggered about the deal, the company is eating those words. To break the tradition of racist oppression and poverty wages in the whole wine industry – this is the ambition of the workers. The backing of RW by all employers in the town of Robertson shows the scope of the task confronting CSAAWU . In a recent statement from the “Laborie Dialogue Initiative” (LDI), they say they are “deeply concerned about the damage that is being caused to the image of the agricultural industry, and the wine industry in particular”. This is a joint statement from the employers’ associations, VinPro and Hortgro, the farmworker union FAWU and the union association AWETUC. 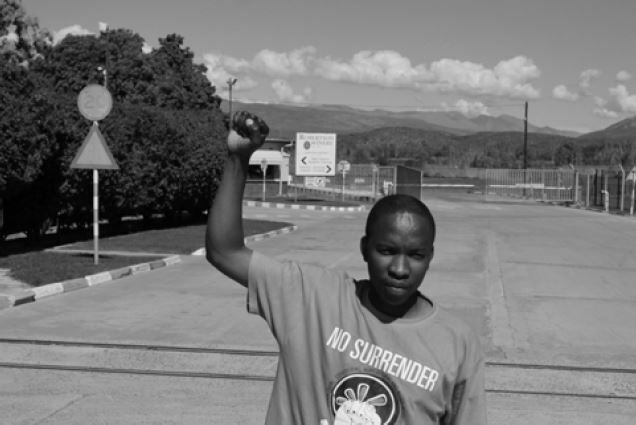 CSAAWU’s solidarity campaign and a documentary film “Bitter Grapes” are attacked in a variation of the well-known theme of “outside forces”. The film featured in Scandinavia during the strike. It hit the sales of Robertson. In Denmark, supermarkets took the bottles off the shelves. Also, for unions who are passive and appreciated by the employers for their complacence, CSAAWU is becoming a real problem. 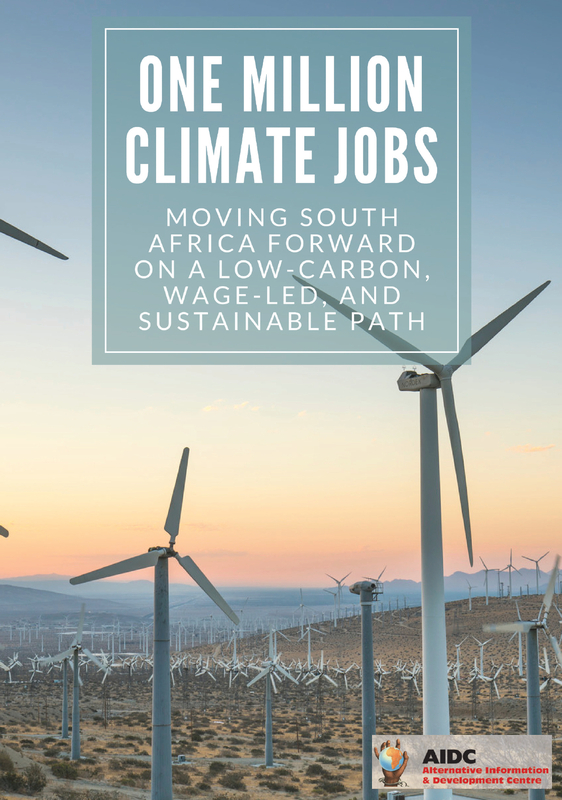 Despite a deal that was far away from the original demand, CSAAWU is growing by the day. In Robertson, even tellers at Spar and Pick n’ Pay want to join. CSAAWU has become The Hope. RW has repeatedly tried to interdict the protected strike. They demanded that the union leadership and strike committee get jail sentences for contempt of court. This failed again two weeks ago. CSAAWU got a minimal 12 month suspended penalty of R50,000 for posting actions of workers with sticks on Facebook and singing militant songs. The demand for jail sentences was rejected as being completely out of the question. The strike has predominantly been very peaceful, well controlled by the workers and the union. It has received solidarity from socialist and faith-based organisations in the Western Cape – the Muslim community in Cape Town and the English Church in Robertson, just to mention two important supporters. It has also received international support, in the form of solidarity work in Denmark and Sweden and financial support from food worker unions. When workers went back to work on 28 November, the agreement was that there would be no disciplinary action, three temporary workers who had participated in the strike would be made permanent, the increase would be back paid to August, and there would be a full bonus payment of about one month’s pay. The wage increase across the board was R400 or 8%, whichever is the greater. Now, at the beginning of December, it is unclear what parts of this agreement RW is challenging. For working people all over the world there is just one way to go – keep together and fight, here, there and every where. The working class is one – let us take the necessary fights together, one and for all, all for one!